EB at the northern end of Robert Moses State Parkway, which gets this elongated interpretation of the state route shield and the New York Dept. of Parks and Recreation maple leaf. 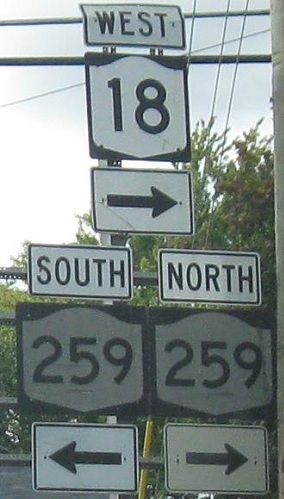 NY 18 and the Parkway are both on the Seaway Trail, although the official route appears to be 18 only. The length of 18 was supposed to be paralleled by a combination of the Robert Moses (north-south to Fort Niagara State Park) and the Lake Ontario State Parkway (east-west, currently ends at Lakeside Beach State Park). 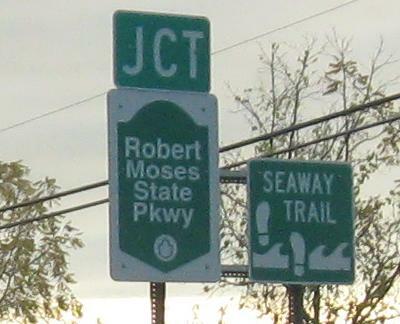 Instead of being the end of Robert Moses State Pkwy., this location in Four Mile State Park would have been just another exit on Lake Ontario State Pkwy., which would have connected other county and state parks between here and Rochester. NB and SB on opposite sides of the same intersection, but only one is NY 18. In the first photo, NY 18 turns left on Latta Rd. 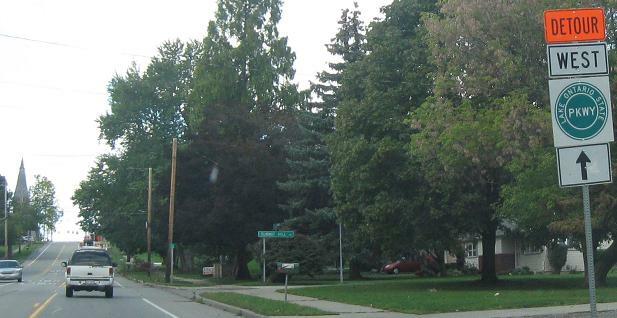 The second photo is on Dewey Ave. 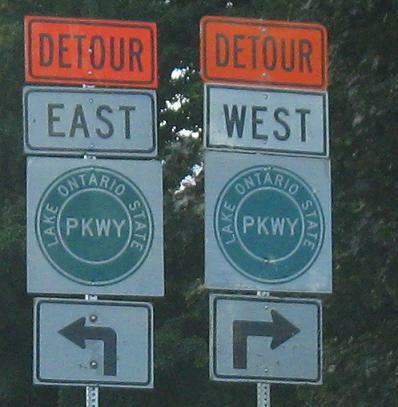 The Lake Ontario State Pkwy. 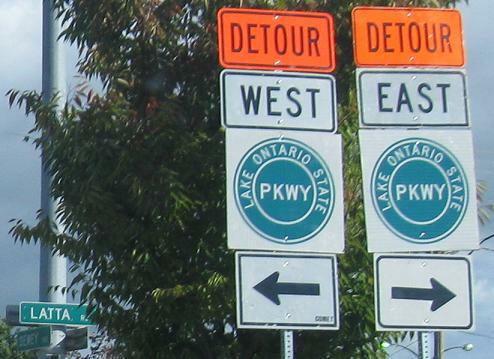 overpass of Dewey Ave. was under reconstruction at the time, which led to dozens of non-cutout shields scattered around greater Rochester and Greece, all with the wrong color scheme (the outer ring should be green letters on white). One more shield, NB (Latta Rd. WB). Onto Robert Moses State Pkwy. Onto Lake Ontario State Pkwy.